Oh, the South. How we dream of warm days surrounded by dreamy landscapes listening to the sound of that lovely Southern drawl. There’s something so impossibly romantic about the South. Perhaps it’s their loyalty to tradition, chivalrous manners, or just the flat-out great hospitality that can be found there…or maybe it’s just the pecan pie. Whatever is in the air down there, we can’t get enough of it! 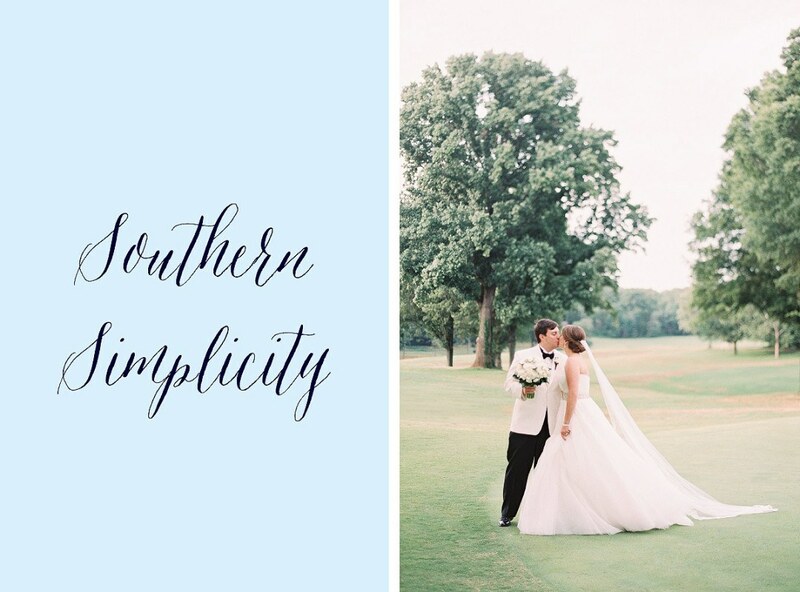 When we saw this gorgeous wedding come together in North Carolina at the hands of Rebecca Rose Events, we had no words. The beauty of this design lies in its simple elegance. Set against a sea of ivory hues with hints of champagne and gold, it will certainly stand the test of time. And all those Magnolias, with their leaves a deep shade of green and each bloom perfectly crafted, stole our hearts. A gorgeous symbol of the South, the Magnolia arrangements from Reggie’s Flower Shoppe, ranging from high to low centerpieces, lush table runners and an unbelievable hanging centerpiece are absolute show-stoppers. With it’s boundless nature and beautiful people, we’re ready to book it down South for the season. So bring on the lemonade and boiled peanuts because frankly my dear, we don’t give a damn! With spring officially upon us it’s the perfect time to bust out our brightest colors and boldest patterns and embrace the beautiful season! As the flowers bloom, each one a more stunning shade of pink than the last, our hearts could nearly burst with happiness. Wondering if everyone else felt the same joys of spring as us, we reached out to a few friends in Chicago, Dallas and Charleston to find out. Spoiler art: the answer is yes! First up, we took to Charleston, South Carolina. With all the beautiful happenings in this quaint city, we were more than thrilled when Yoj Events invited us to be a part of the Bliss & Bespoke retreat. And when we sat down to this final dinner? Well, we could barely contain ourselves! The gorgeous design, combining a Charleston garden party feel with a Moroccan vibe, drawn from the unique seating, came to be called the “Southern Moroccan Garden Party.” Never shy when it comes to design, Yoj Events loves to play with all the amazing things that can be done with bold colors – insisting that florals can still pop when combined with the right layers of metallics and hues. We love how the juxtaposition of the geometric pattern on these adorable plates against the organic watercolors from stationery and linens. 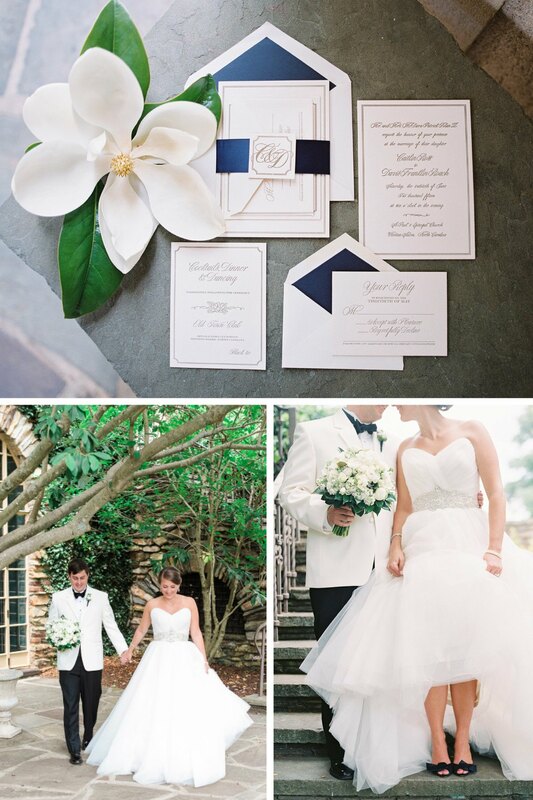 From the Designer, on Spring Weddings: My advice is to not be afraid of colors you love. Anything, when used in the proper context with the right florals and textures is completely appropriate for the season. 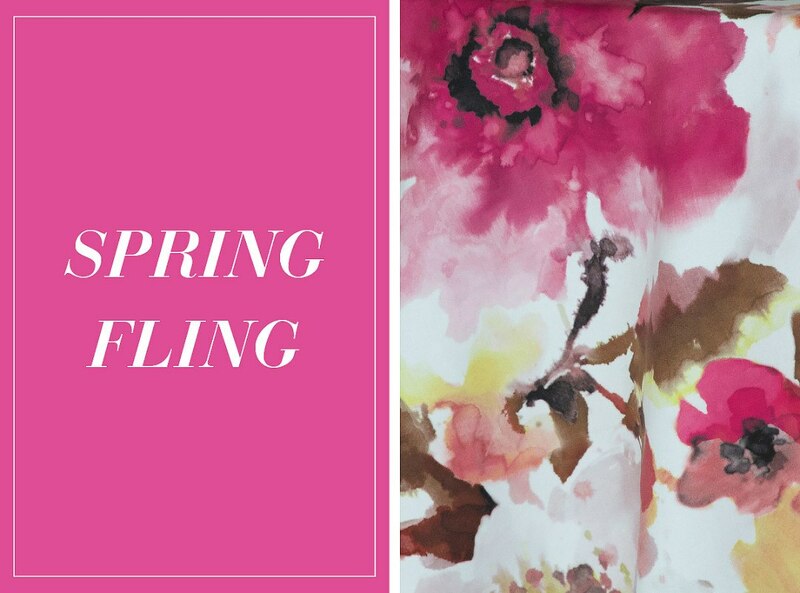 For florals, everything pretty and fluffy and colorful is amazing in the spring…use it (hello peonies)!! 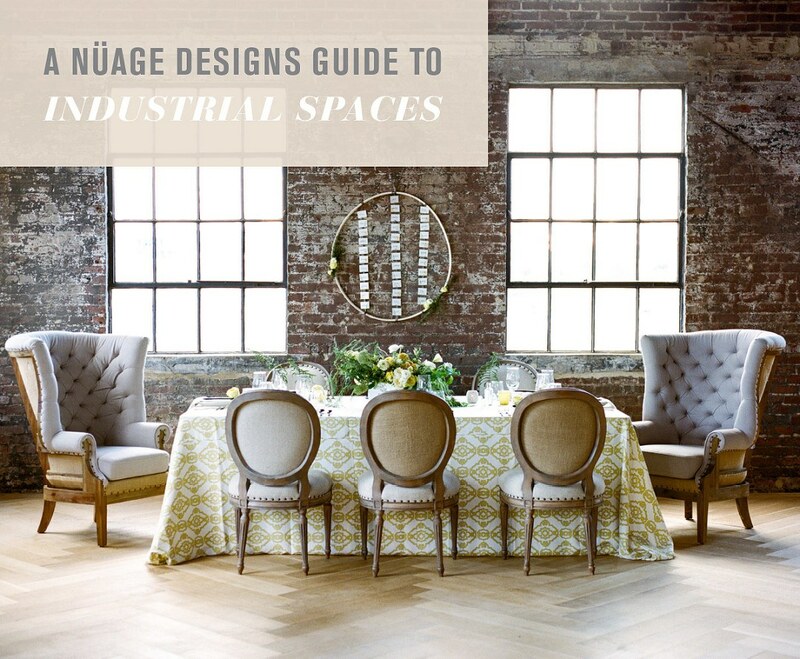 Hopping over to Chicago, we met with Hey Gorgeous Events at the Trouvaille Workshop. Although Rhiannon Bosse is a Michigan native, she took to the windy city to host a week of workshops and called us to join in on the fun! 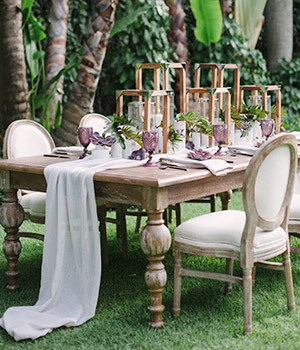 Imagine our delight waking up to find breakfast at this dreamy table. We could certainly get used to this! Rhiannon admits falling just a little bit in love with this watercolor linen the moment she saw it. The decision to use such a vibrant print this early in the morning was easy – she wanted something unexpected and fresh to get everyone revved up! We love how the details were thoughtfully considered – stems of pink hydrangeas, napkins with a bright yellow border playfully wrapped with delicate pink bows and simple vineyard wood folding chairs – keeping the tablescape looking light and airy. From the Designer, on Spring Weddings: Spring is hands down the best time of the year to get married if you’re looking for an incredible variety with florals. Peonies, lilacs, cherry blossoms, garden roses from American based family farms, ranunculus blooms, sweet peas; these are just a sampling of the gorgeous product bursting out of the cooler at our floral market come spring! 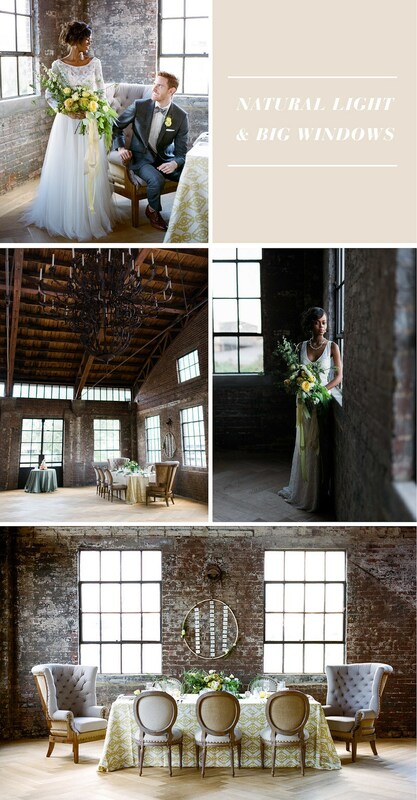 Traveling down south to Dallas, we met with Jordan Payne events for this glamorous styled shoot. With her love of fashion (and impeccable style! ), Jordan was inspired by the timeless femininity of Chanel and the avant-garde designs of Alexander McQueen when dreaming up this design. A self-professed obsession with bright colors and watercolor finishes led Jordan straight to this print as a focal design point. 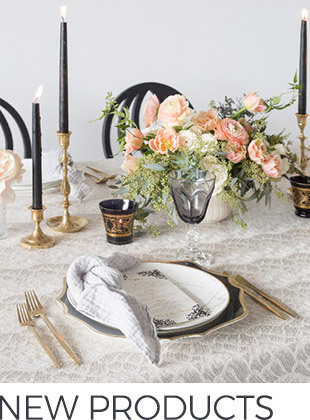 Wanting to add dimension to the tablescape, she mixed in different textures and gold tones – with special attention to the unique metal drip effect of the chargers. On first impression, it may look rather whimsical but look closely, you’ll find a nod to McQueen in the beautiful black butterflies and black lace trim accents scattered throughout – making this a perfect balance of light and dark. 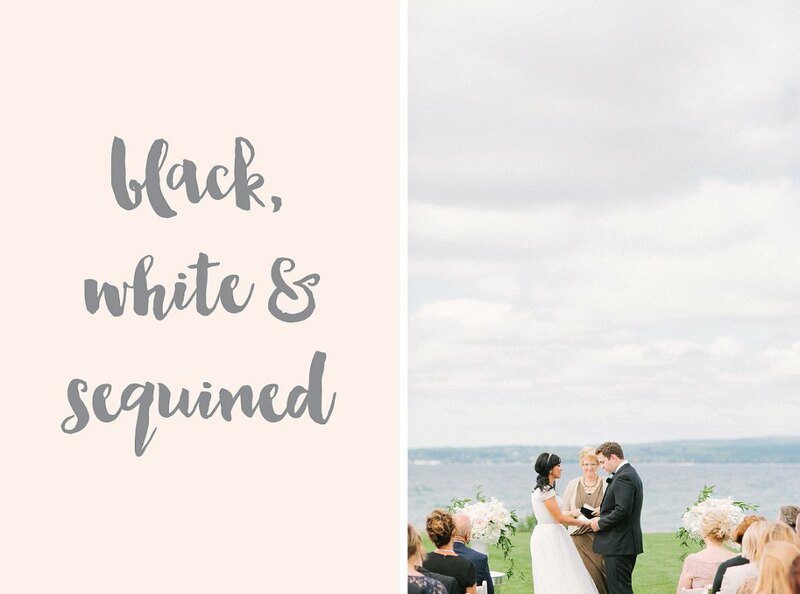 From the Designer, on Spring Weddings: I always say to my brides, pick a color palette that reflects you and what you want to see in your memories. Take advantage of those amazing blooms that are in season—dogwood, cherry blossom, peonies, lilac and anemones! Just as we guessed, spring is clearly the most wonderful time of the year! So enjoy the pretty blooms, clear skies and cool weather because before we know it, spring will be gone as quickly as it arrived, leaving us waiting until we meet again next year!